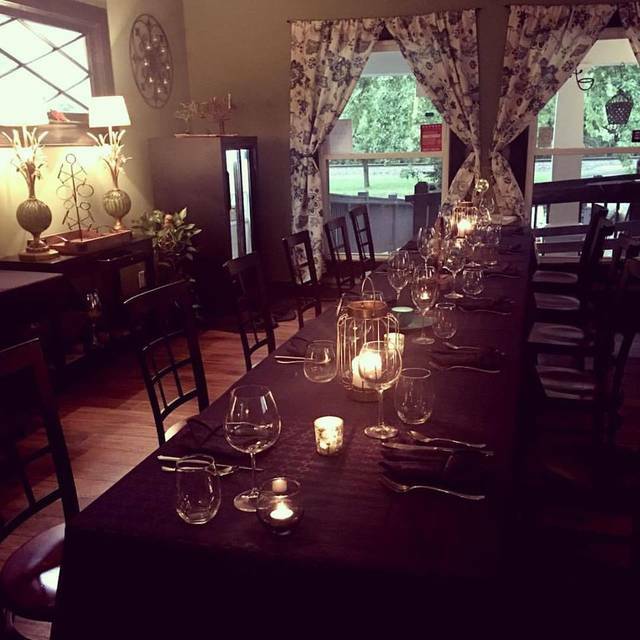 You may book all 12 seats for a private dining experience! 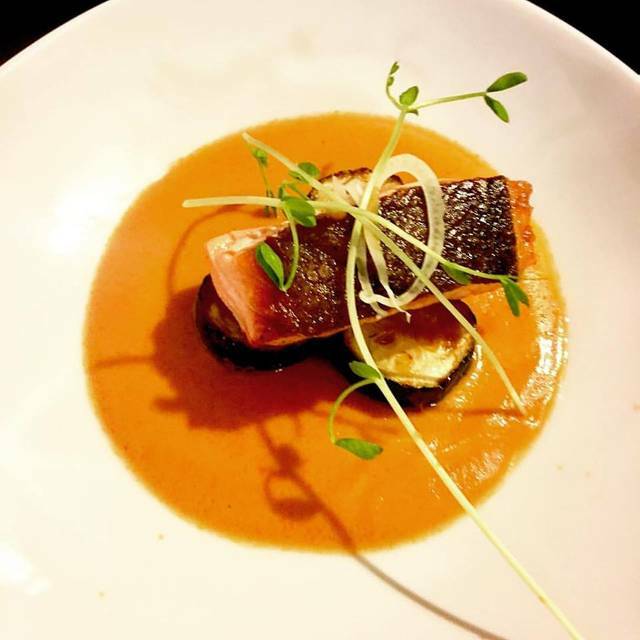 A BYOB fine dining restaurant serving dinner every Friday and Saturday evening for 12 diners. Six courses served at 7 PM for $95 per person. We kindly require that no diners be under 10 years old. Guests are asked to arrive at 6:45 PM. Menus are generally Mediterranean and European, but include influences from all over the world inspired by the chef's travels. Many diet restrictions can be accommodated with ample advance notice. At this time, we cannot accommodate the following restrictions: 100% gluten free, 100% dairy free, vegan, and severe allergies. If you have any of these requirements, please contact us to arrange a private meal on a day when we can prepare a special meal! You will be charged 50% if you cancel within 1 week of your reservation, & 100% within 3 days. No shows will result in 100% charges. If you have questions, please visit our website! With Almonds, Olive & Sea Salt Surprises! Great experience! Service and food was great! Perfect evening! Had a great time and was able to chat with the chef/owner. Would like to share with others in the area!!! I have been waiting to try Fond for months after seeing the Chef on Food Network. The meal did not disappoint. From top to bottom is was very good with some dishes working out better than others, but all done well. Yes, at twice the cost, it could have been elevated to all 5-star dishes, but considering the value, I daresay there is a better coursed menu for less per person in Louisville, or any other metropolitan city. Elsewhere, this menu would have been 50% more. Throw that on top of now corking fee for 3 bottles of better BYOB wines, and the net might actually be near free food compare to other restaurants. I would 100% return; if there were ever an opening again. Outstanding food in a quiet and intimate atmosphere! Fond was an amazing pick for my wife's birthday. The style of dinner is very unique with only 12 diners per night. In the dining space, the distance from tables and the kitchen allows for intimate conversation without the feeling that everyone in the room hears every pin drop. Dinner menus will differ frequently, and the Asian themed cuisine that we tried was wonderful. The surprises to the menu were indeed pleasant surprises, and helped to balance the meal. 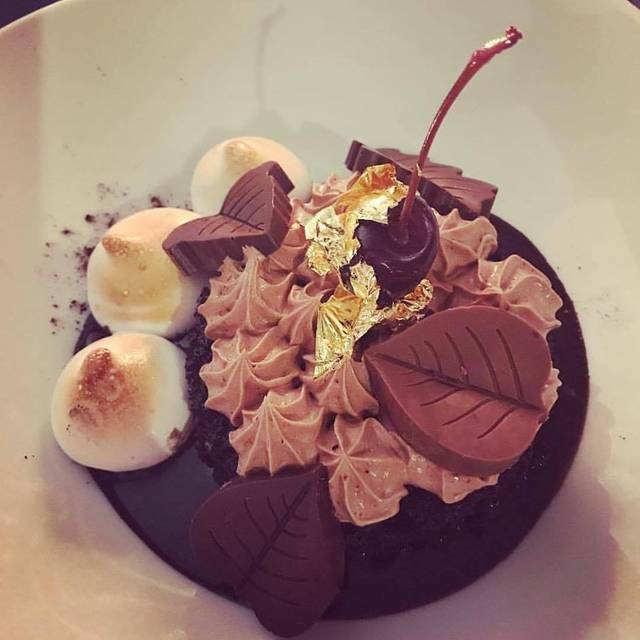 With so many courses, you certainly get enough of a portion, with dessert being larger than many prix fixe menus that I have tried. The chef certainly accomplishes preparing a meal that satisfies many senses without overwhelming diners. Our dinner reservation at Fond began as a Christmas surprise for my sweet husband, however I found the evening to be a wonderful surprise for myself as well. 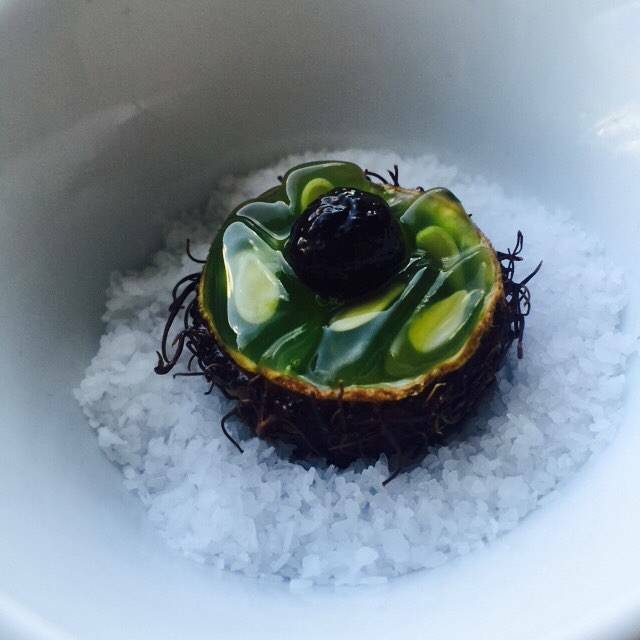 The food was not only outstanding, it was inventive and inspiring. We found ourselves watching in anticipation while the chef was plating in sight. We had not peeked at the menu, preferring to be surprised. So much more fun, in my opinion. The service was absolutely top notch. We never wanted for anything, except maybe larger stomachs. I am happy that I decided to include our daughter (20 years old) in the reservation. She absolutely loved it as well. Fond was phenomenal! Madeleine Dee has created a wonderful dining experience where you can enjoy dinner and company - choose your company wisely because you’ll be there at least 2.5 hours. She is very kind and genuine and her love for food and people comes through. Each course is explained including the ingredients and how prepared. Then we were encouraged to stay and talk after dinner with the offer of espresso and chocolate. Some reviewers complained that silverware is not changed for each course, but I didn’t find that problematic for this experience. Enjoy! I’ll definitely return. Service is impeccable and so is the food. Even though they are small plates...I was very full at the end of the meal. Plan on spending a few hours here for dinner. It’s not in and out in 45 minutes. Take your time and enjoy!!! Everything about this place was amazing!! Loved it and will definitely be back. Our return visit to Fond was wonderful. 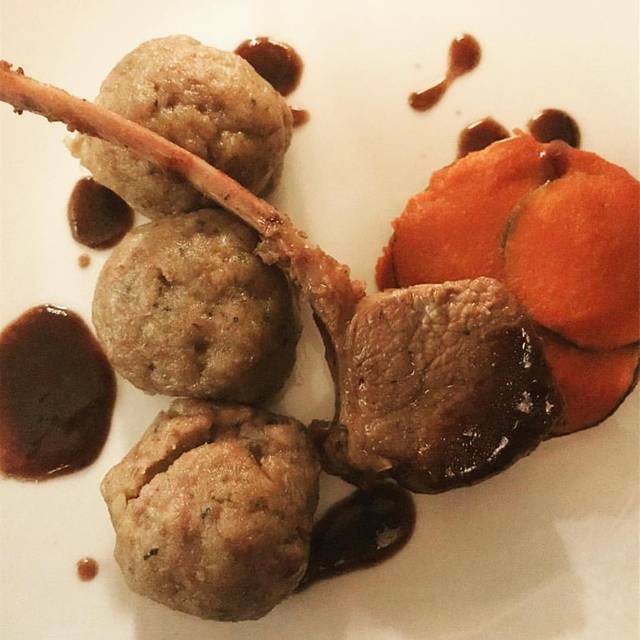 Such a warm and inviting atmosphere, delicious and thoughtfully presented plates, and flawless service combined to give us a relaxing and memorable date night. Chef Madeleine Dee has a passion for creating a beautiful dining experience, and she accomplishes this beautifully. As usual, the experience at Fond was off the charts awesome. I can’t say enough good things about this place. If you’ve not been there, you need to make it a priority to go. We went to Fond for our anniversary. Everything was amazing. Every course we had-7 all together-was so delicious and so well prepared. The service was outstanding. Would recommend Fond to everyone!! Thank you! It was a pleasure to have you here. Went to Fond for our 34 anniversary. So nice! Intimate setting, quiet, perfect for quiet talking or just looking at each other. Food was outstanding as was service. And the BYOB aspect was perfect as we could bring our favorite wine from our favorite local vintner. Thank you! We appreciate you celebrating here. Everything was absolutely outstanding. I’m not even into the foodie scene and I loved every course and the owner is just the sweetest person ever. The service was excellent and the food was spectacular. Highly highly recommend! This was without a doubt the most wonderful fine dining experience we have ever had. Each plate was crafted with such care and attention to detail. So delicious and a true work of art. A very intimate experience where the chef and wait-staff are right at your service to explain each course. An unforgettable evening from start to elegant finish. Fond never disappoints. Chef Madeline and staff always provide the most wonderful, delicious meals and service. This was our second experience at Fond and we will be back for more. Not only is the food outstanding, but the whole dining experience is top rate, one of a kind. Would definitely recommend Fond again and again and again!! My wife, and I had a good time at FOND. The service was spot on (very attentive, and friendly). All the courses from appetizer to desert were very creative. I did not care for the duck, but that may have been just my personal taste. Everything else was very good, and we left quite satisfied. Chef Madeleine Dee has created a wonderfully unique dining experience at Fond. I felt like I was a guest at a friend’s elegant dinner party! Each course was thoughtful, creative, well-balanced & beautifully composed. The Black Forest cake was decadent & is one of those food memories that will stick with me for years to come. I truly appreciated the friendly, knowledgable service throughout the evening as well. I’m looking forward to seeing what’s on the menu next month! Great dinner, wonderful ambiance, creative presentation. Love the fact that one can bring their own wine and avoid huge markups or corkage fees. Only downside is that it is difficult to get a reservation, but will try, try again. Chef Madeleine and Mary gave us a more delightful evening than we could have anticipated. Each course was an adventure and a revelation. I felt like I was eating in the comfortable home of a master artist. It was a spectacular evening and my wife and I are anxiously awaiting our next visit. This was our fourth time at Fond, and the best one yet! The French-themed menu was outstanding. Hard to single out any one item, but the white truffle bisque with seared scallop, the salmon, the duck, the chef surprise with the fig and risotto - you get the picture. Just another fabulous evening at Fond! The restaurant is in a location that fits its style. It was easy to find and park. The Food was very good and the pace was perfect. The meal takes about 2.5 hours so I wish the chairs had a little more comfortable. The meal cost us 241 for two with tip. Not a bargin but the food was very good...really some of the best I ever had. I do believe you can attend 3 times in a year and get 20% off. 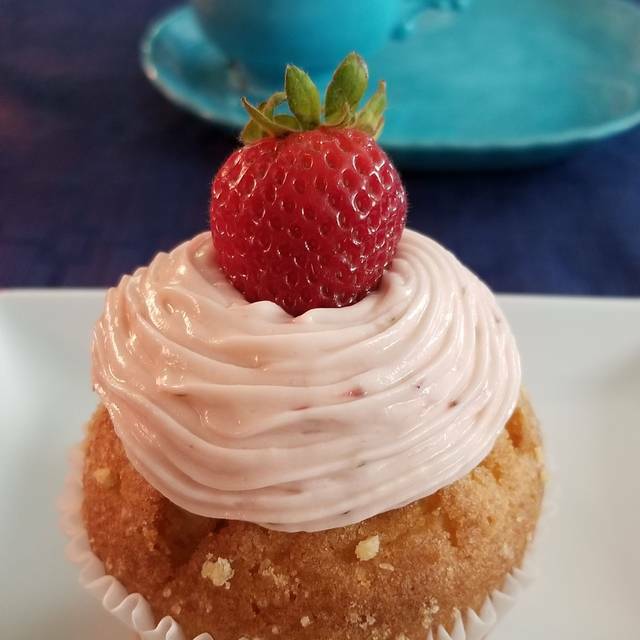 Chef Madeleine Dee is Amazing! 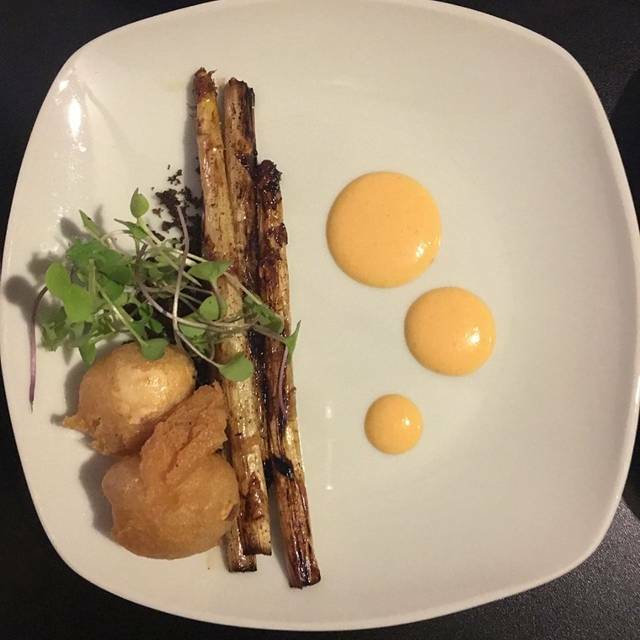 Every course is flavorful and mouth-watering. The presentation is right-on. Kim who works with Madeleine is very informative and a gracious host. All foodies would find this to be a wonderful experience. Very intimate with only 12 seats. Plan ahead and book often. I assure you it is $ well-spent. Bonus; you can bring your own wine and there's no corkage! 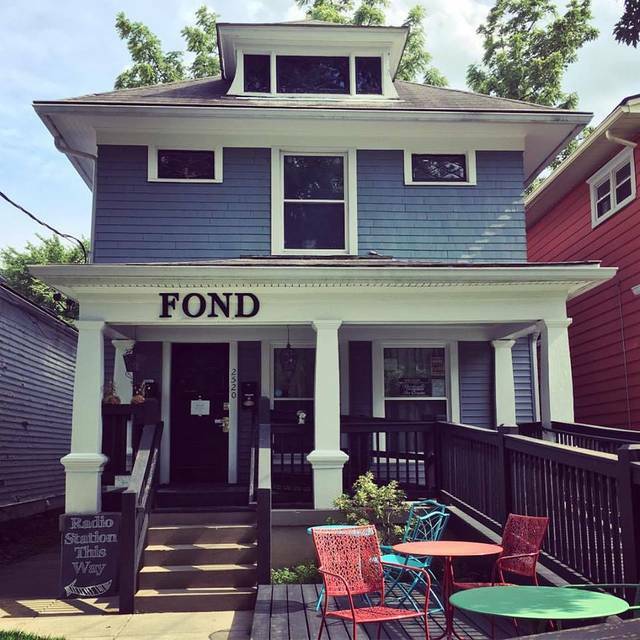 Fond is probably my favorite restaurant in Louisville. Every meal tastes magical. We love going there for special occasions. It's such a place of comfort and peace and enjoyment. Madeleine has made one of the truly special restaurants in the country at Fond. Phenomenal meal, meticulously prepared and presented. Truly astonishing!! Beautiful atmosphere, weekend dining seats only twelve. Six course meal with a surprise thrown in, all very delicious. Staff was incredibly friendly (only the server and cook are there and both were delightful). We had a lovely dinner at Fond. The food was excellent and the atmosphere delightful. The dishes were served and crafted masterfully. 11/10 can't recommend enough! Fond consistently provides a fantastic dining experience. The food is exquisitely divine, the atmosphere is cozy and welcoming, and the staff are always delightful. The experience is well worth the cost and the wait. Chef Madeleine Dee has amazing culinary skills, but that isn't the only thing that makes Fond special. She comes up with fun and creative menus, and then provides a warm and gracious place in which to share them with her guests. It's a beautiful combination. The food was simply delightful and the atmosphere is so quaint and nice. I loved everything about it! We saw the chef on Food Network’s Chopped and booked a spot when we saw that she was in Louisville. We were not disappointed! With only twelve served a night, this intimate setting is romantic, indulgent, and wonderful. Each of the six plus courses was a creative and delicious bit of art. We enjoyed the three hour dining experience while we had a relaxed conversation and unhurried atmosphere. The server was so much more than wait staff and the chef came to visit with us several times through the evening. Honestly we were a little disappointed. I guess I'm used to other high end restaurants and was surprised to use the same silverware for all six courses. I expected better presentation, but I guess the point is to be less stuffy. The main point is that the food was good but not memorable in taste or presentation. Certainly one of the best restaurants in Louisville. Prix fixe, set menu. Primo ingredients, creatively employed, served in a relaxed and personal atmosphere. Limited to 12 seats per night. Buying a three-night subscription gets you 20% off the price. When you consider that it's BYOB, so you're not paying a huge mark-up on wine, the total cost is more than reasonable for the quality of food (and seven courses). If you're looking for a special place for a special occasion, this is the spot. It seats only 12 people and there's a set 6 course meal according to that month's theme. We went for island and the tuna course made people at our table emotional it was so good. It's BYOB which I find a plus for this restaurant. If you can get a reservation, I primary it will be worth it. The server and chef are so nice and really make you feel like an important member of their family. Once again, Madeleine and Kim took great care of us and we had a great “date night”! My girlfriend and I went to Fond for her birthday and it was everything that we hoped for and more. We both agreed that it was probably the best meal either of us have ever had. Seriously. She is a pescatarian and I tend to avoid most fish, but Chef Madeleine was able to accommodate our quirkiness. We both walked away stuffed and I'm sure we'll be dreaming about that meal for a long time. I have followed Fond for many years and Madeleine is an extraordinary chef. The evening was all I expected and more. I plan to return and enjoy many of her planned cuisines. Truly a unique and fantastic dining experience. Chef Madeleine Dee consistently creates cuisine that brings tears to my eyes. Every dish is layered with delectable flavors that unveil themselves slowly, ensuring that every element is a treasured surprise. 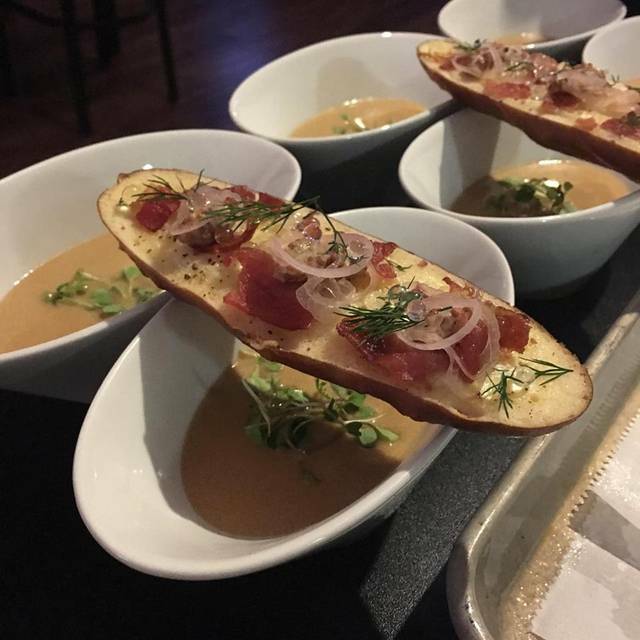 My friend noted that, as we waited for each course, I wiggled in my seat with giddy anticipation that only abated once the dish was completely consumed. We relished every morsel and cannot wait to return.